Pennsylvania's Public-Private Partnership (P3) Board recently approved two projects — one that will establish a wetland mitigation bank to offset environmental impacts from construction or development projects, and another for transit-oriented development (TOD) at one or more stations along Amtrak's Keystone Corridor from Harrisburg to Philadelphia. Through the proposed wetland mitigation bank, a PennDOT-owned, 140-acre site in Chalfont, Bucks County, would be developed so PennDOT and private developers can meet federal environmental requirements by applying for credits to offset environmental impacts on projects. A private entity would be selected to operate, finance, and maintain the site, streamlining the environmental review process as well as project timelines compared to establishing separate sites for each applicable project. The other project approved by the board seeks to build on the TOD P3 project already being administered for the Middletown train station. 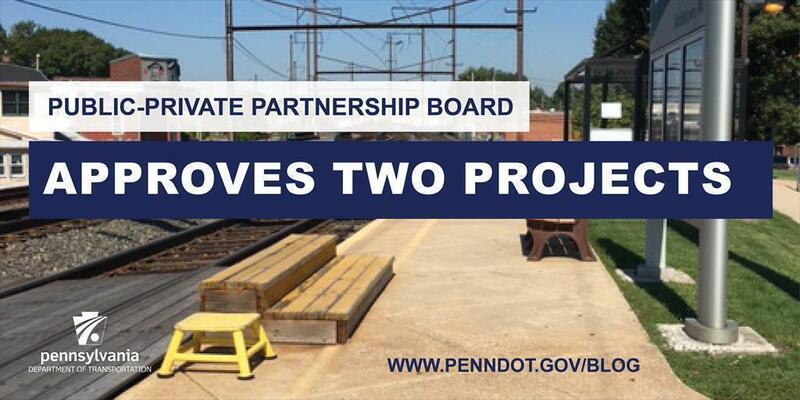 The department will seek interested proposers to develop and connect the areas around one or more stations including Harrisburg, Elizabethtown, Mount Joy, Lancaster, Parkesburg, and Downingtown. The Public-Private Transportation Partnerships Act was signed into law in September 2012 and authorized P3 projects in Pennsylvania. This law allows PennDOT and other transportation authorities and commissions to partner with private companies to participate in delivering, maintaining, and financing transportation-related projects.